I adored this book the characters are great working together and they draw you into the book. You will be drawn in by this crafty whodunit that will keep you wanting to read just one more chapter until the end. What a terrific start to a great series, eagerly awaiting the next one! I really enjoyed this mystery but I’m even more excited to see where the series goes. I didn’t want to put it down. There were so many things happening in this book, my head was almost spinning. I adored this book! The characters were charming and the settings were delightful. 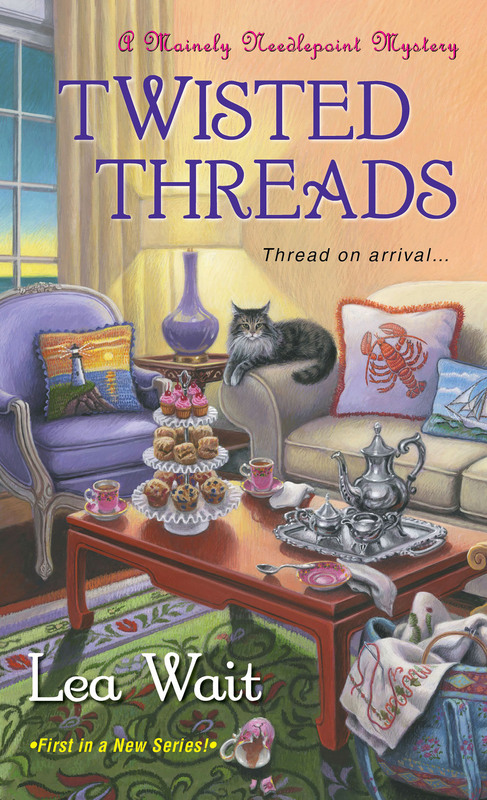 …Did I enjoy Twisted Threads, and am I looking forward to the sequel, Threads of Evidence, coming out in August of 2015? Heck, YEAH, I am! 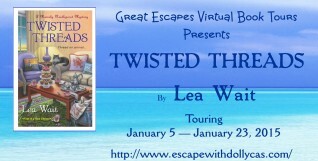 I always enjoy a well written cozy mystery and Twisted Threads by Lea Wait is definitely one of them! This is a new exciting cozy series. The mystery was good with some twists. 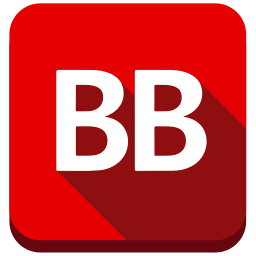 Clean, good read ,with characters I would like to see more of. Angie’s efforts to solve two mysteries at once and to help her grandmother will keep readers engaged until the end. After leaving a decade ago, Angie Curtis has been called back to Harbor Haven by her grandmother, who raised her following her troubled mother’s disappearance when she was a child. Her mother has been found, and now the question of her whereabouts has sadly become the mystery of her murder. The bright spot in Angie’s homecoming is reuniting with her grandmother, who has started her own needlepointing business with a group called Mainely Needlepointers. But when a shady business associate of the stitchers dies suddenly under suspicious circumstances, Gram and Angie become suspects. As Angie starts to weave together clues, she discovers that this new murder may have ties to her own mother’s cold case. Lea Wait lives on the coast of Maine. 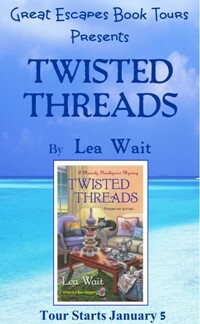 A fourth generation antique dealer, and author of the Agatha-nominated Shadows Antique Print mystery series, she loves all things antiques and Maine, and she’s learning to do needlepoint. 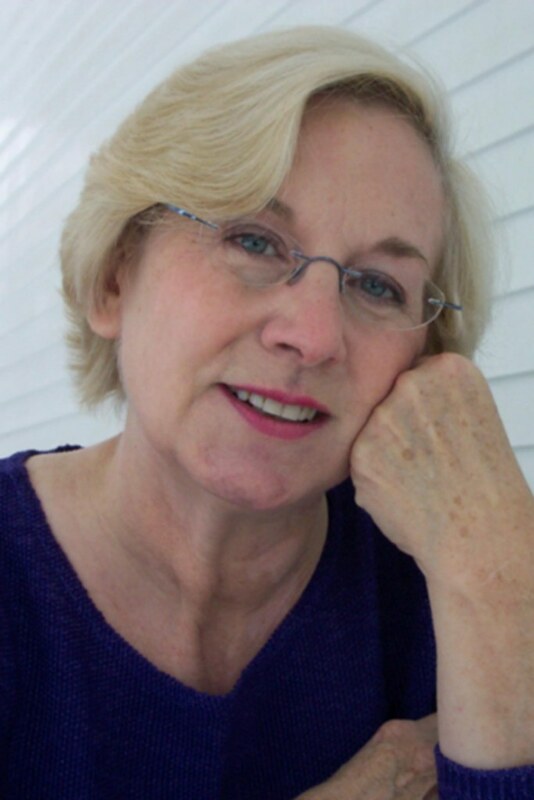 She also writes historical novels for young people set in nineteenth-century Maine. Lea adopted her four daughters when she was single; she’s now the grandmother of eight, and married to artist Bob Thomas.